Not all Europeans went to Africa to become rich. Many devout Christians traveled to Africa on missions to teach their religion. The missionaries did more than share their faith; they also taught the African people modern science and medicine. 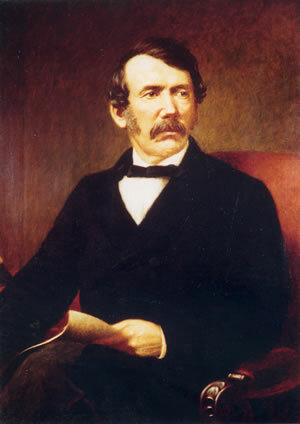 David Livingstone was the most famous African missionary. Livingstone was an Englishman who believed that the African slave trade could be destroyed through the influence of Christianity and by treating the African people with kindness and respect. After a four-month journey, Livingstone arrived in South Africa in 1841. Livingstone learned African languages and customs, and he explored a great portion of the continent. He believed the best way to share his faith with the Africans was to teach them about the outside world. Livingstone supported his missionary work by writing books about his travels. Livingstone was appalled by the way the Dutch and Portuguese colonists treated the African people. His writings told the world about the slave trade, which Livingstone called “the open sore of Africa." Livingstone’s writing made him famous to the outside world, but by 1869, he had not been heard from for six years. The New York Herald newspaper sent reporter Henry Morton Stanley to find out what had happened to the famous missionary. Two years into his journey, Stanley is reported to have greeted a very ill Livingstone with the famous words, “Dr. Livingstone, I presume." Stanley urged Livingstone to leave Africa, but the missionary felt his work was not complete. When Livingstone died in 1873, most of his body was returned to England, but the missionary’s many friends buried his heart in Africa. Mr. Donn has an excellent website that includes a section on African History. David Livingstone (1813 – 1873) was a Scottish Christian missionary and explorer in Africa. 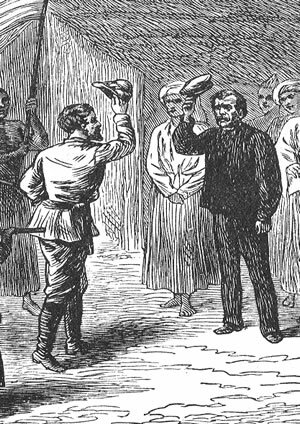 Henry Morton Stanley (1841 – 1904), was a Welsh journalist and explorer famous for his exploration of central Africa and his search for missionary and explorer David Livingstone. Upon finding Livingstone, Stanley allegedly uttered the now-famous greeting, “Dr. Livingstone, I presume?" This entry was posted in African History. Bookmark the permalink.